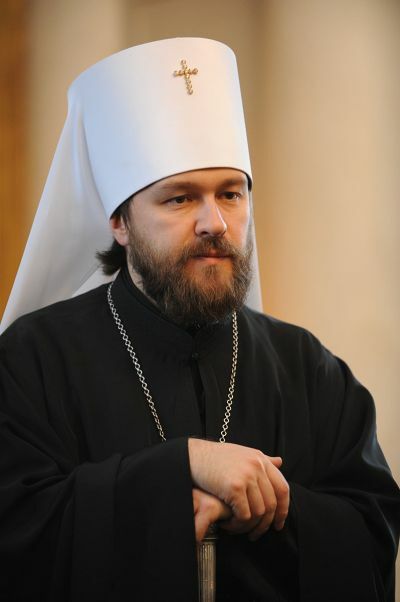 In his message to the Synod of Bishops of the African Methodist Episcopal Church, Metropolitan Hilarion, head of the Moscow Patriarchate department for external church relations (DECR), has expressed condolences over the death of people at the hands of a criminal who opened fire in a church in Charleston. Below is the text of the message. Please accept my sincere condolences over the tragedy that happened at the Emanuel Parish of the African Methodist Episcopal Church in the city of Charleston, South Carolina, as a result of which the blood of innocent Christians was shed. More and more frequently we become witnesses to criminal actions committed on the grounds of intolerance and pointing to the growth of strife and hate in the world. In this connection, one of the primary tasks facing those who confess the name of Christ is to assert the ideals of goodness and love of the neighbour in today’s society, as the Gospel calls us to do. I am praying to the Lord for the repose of the souls of the dead and for the consolation of the bereaved relatives and friends.